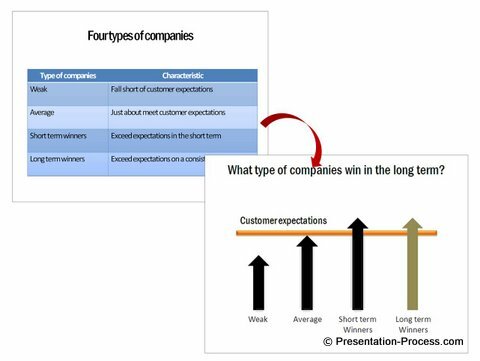 Here is an example of how a boring text based slide can be made more interesting and clear by organizing information in a visual way. 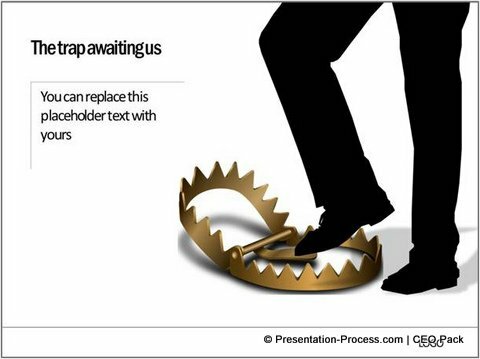 Let us convert the slide into a more visual type of presentation. There are 3 types of audits that happen during the year. 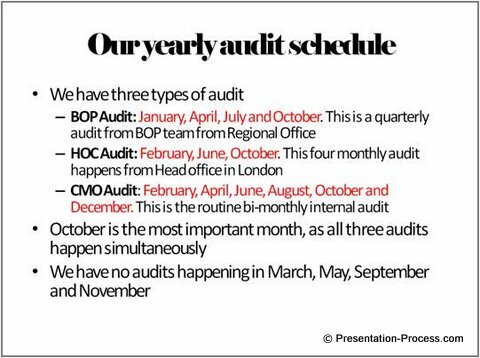 The second type of audit is HOC audit that happens every four months from our London office. Here is the schedule of the audits. 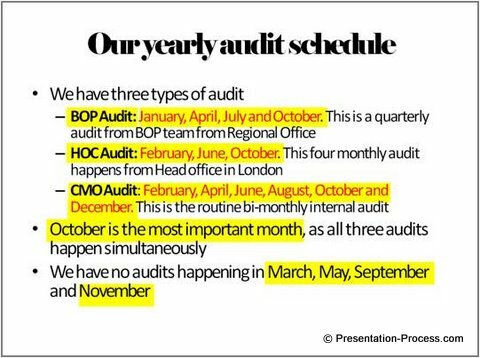 The third type is our routine bi-monthly internal audit called CMO audit. Here is the schedule. As you can see, October has all 3 audits happening simultaneously. So, it is a very important month for us. The blank columns in the months of March, May, September and November show that we have no audits planned during those months. I’ll send you a copy of this schedule so you can plan your work accordingly. 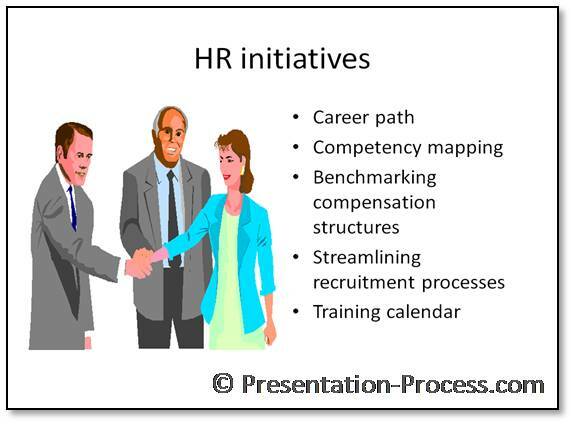 So, how did you find this visual slide as compared to the messy slide you saw earlier? Better, isn’t it? A simple visual representation made the slide so much easier to understand. See the difference in the look and fee for yourself. You too can learn the process of visualizing your text based slides into Simple Powerful Diagrams. 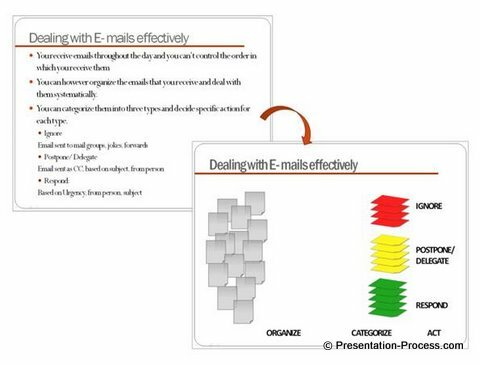 Learn the simple 3 step process to convert your text based slides into simple powerful diagrams from our e-book – Visual Presentations.